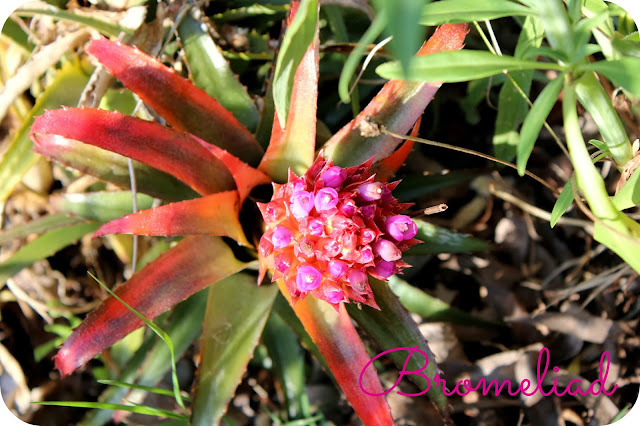 This Bromeliad is flowering and the colours are spectacular. who would have thought such a tropical looking plant could flourish her in Canberra With our hot hot summers and freezing winters? I'm keeping my flower share simple today as I am busy, busy, busy getting ready for the School Fete, I volunteered as convenor of the craft stall but I haven't been for the last couple of years and don't quite know what to expect. I headed out early and took this picture as the morning sun was just hitting it the air was fresh and lovely. Its going to be warm here again today and some storms are following. Hope you all are having a lovely Friday. Tammy, we have lots and lots of bromeliads here too where we get frosts in winter although it's not as cold as Canberra. At present the plants are having to cope with 30 degree heat as we have missed out on spring and just went straight from winter to summer weather.